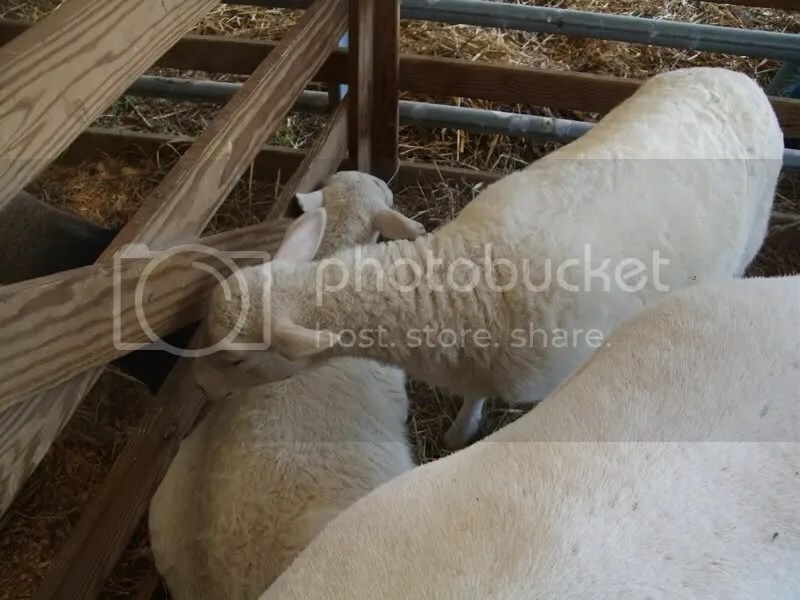 Pungo Strawberry Festival | Stitch, Brinn, Stitch! Today was the first day of the Pungo Strawberry Festival, an affair celebrating strawberries, farmlands, and Virginia Beach. There are tons of food vendors, arts/vendor booths (mostly jewelry, embroidery/bags, and soap this year), and a 4H tent. 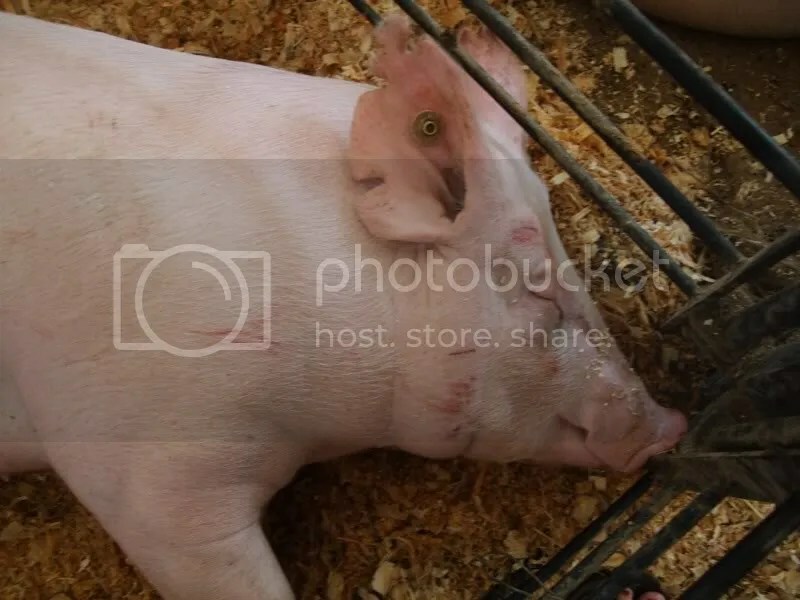 I went with my sister and though we didn’t buy anything, we spent a lot of time in the 4H tent, which was filled with pigs, sheep, and cows. Fortunately, I remembered my camera this year (I forgot it last year). 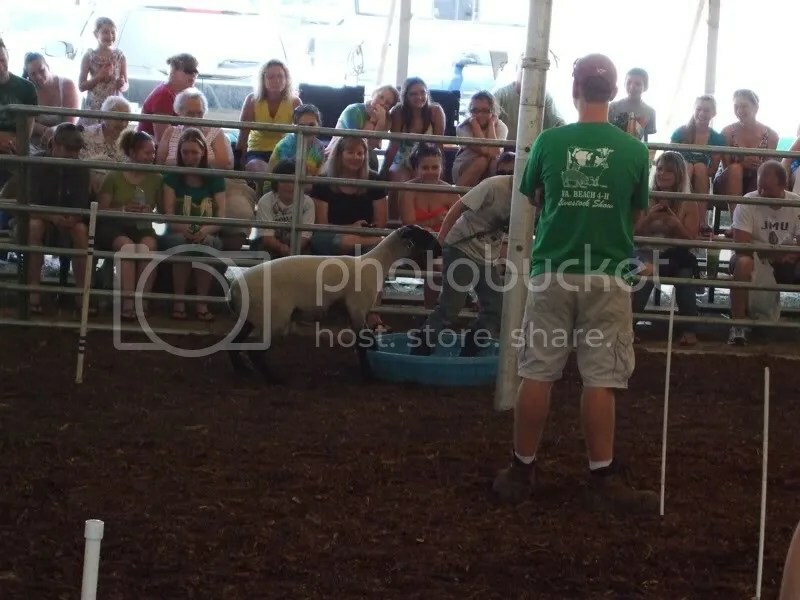 There was also a section called the “Fun Barn” which was sort of closed off from the rest of the tent–for a donation of a dollar, you could pet chicks, ducks, goats, a sheep, a pony, and some pigs. There were also chickens and rabbits, but they were in small cages with small holes (and they didn’t get close enough to pet). That’s my sister’s hand. 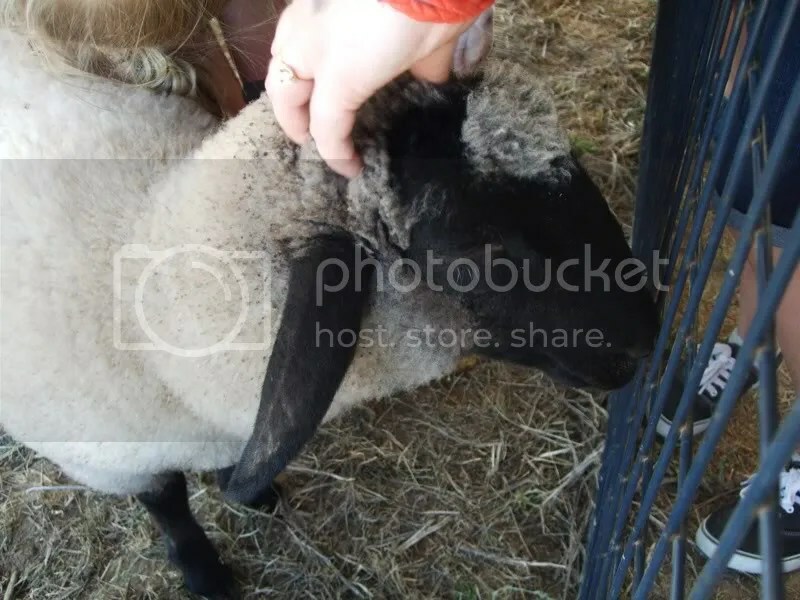 The sheep had a heart on his head. 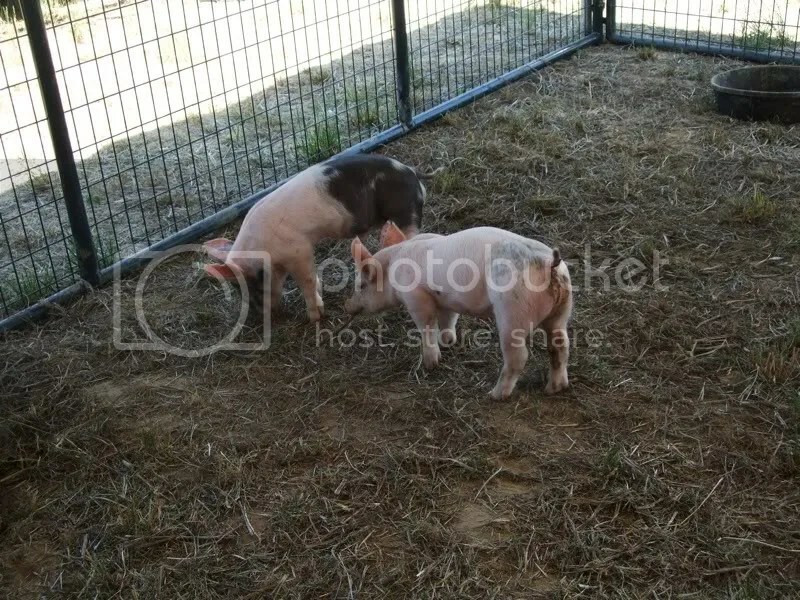 These little pigs were so cute! Their names are Jack and Jill. 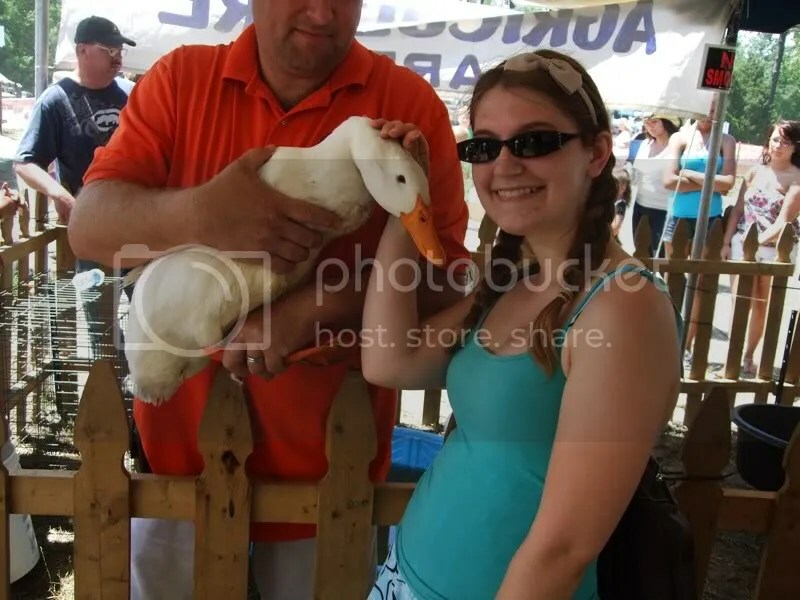 Posing next to a grown up duck. He was super soft. 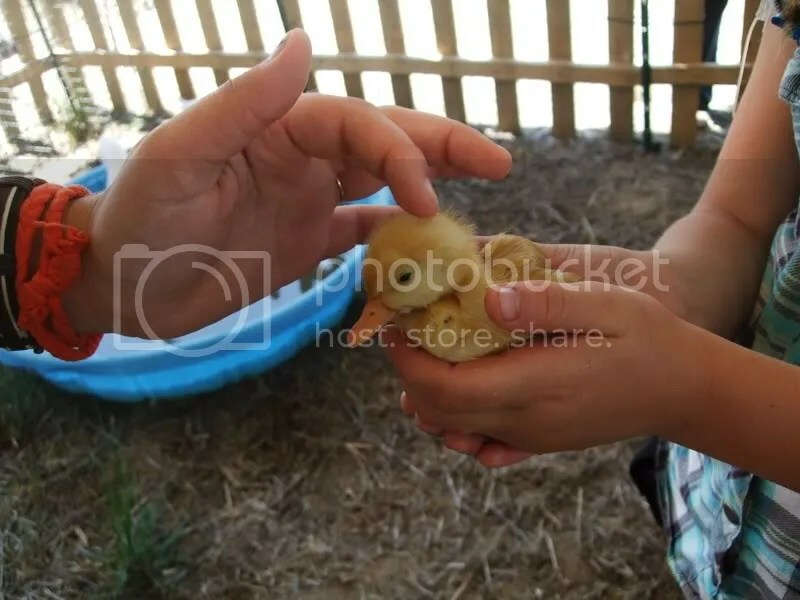 Petting a baby duck (well, that’s my sister’s hand). I got to hold one of these little guys (not in this picture, that’s some kid whose family owns the ducks) even though I wasn’t supposed to. He was super cute! That alone was worth my $1 plus $5 parking (though that was split between me and my sister). We also saw lambs competing in an obstacle course. They didn’t like it very much though. It was pretty funny and the lambs knocked over the jump bars more than they made it through. 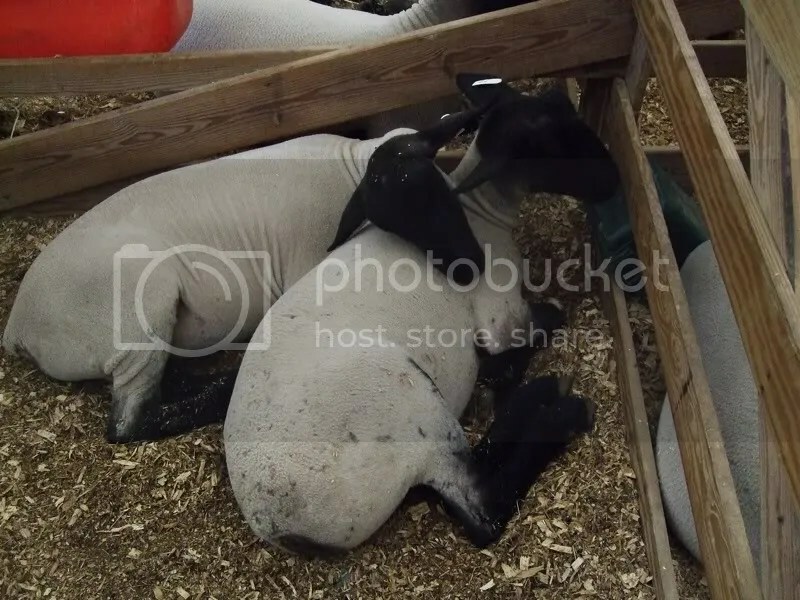 Also, apparently lambs really hate having wet feet. Seeing children trying to get their lambs to put two feet in a little kiddie pool was pretty funny. They were Not Having It. It was a pretty fun trip. My sister and I went to Skinny Dip (frozen yogurt bar) afterwards and drove around Pungo attempting to get back on the right road. More knitting stuff tomorrow or Monday! Tons of sheep and yet no yarn to be had? Not in my USA! 😉 The duckling made me squee out loud.